If you’ve ever had a job in retail, especially over the Christmas period, then you’ll completely understand everything I’m about to say. However, even if you haven’t, I’m sure you can imagine what exactly goes on for retail workers around this time of year, especially in what is, undoubtedly, one of the nation’s biggest supermarkets, Tesco. 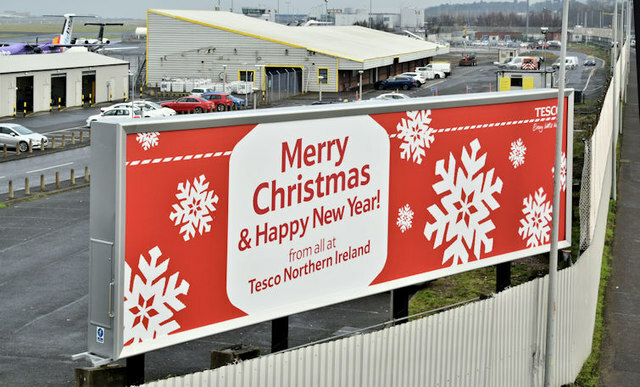 This will be my second Christmas working in the grocery store chain, and even after three Christmas seasons working in an incredibly busy hotel that hosted some of the biggest Christmas parties, I’ve never experienced anything like a Christmas in Tesco. In my opinion, Tesco customers are notorious for their panic-fuelled shopping, and this shopping behaviour usually begins before the Halloween celebrations end. From the middle of October until the 7th November, Tesco were offering a 2 for £7 deal on family sized tubs of classic Christmas chocolates, Celebrations, Heroes, Quality Street and Roses, and during this period, I’m sure I seen more than several shoppers purchasing an extensive amount of these chocolates, and I mean more than 10 tubs per person. 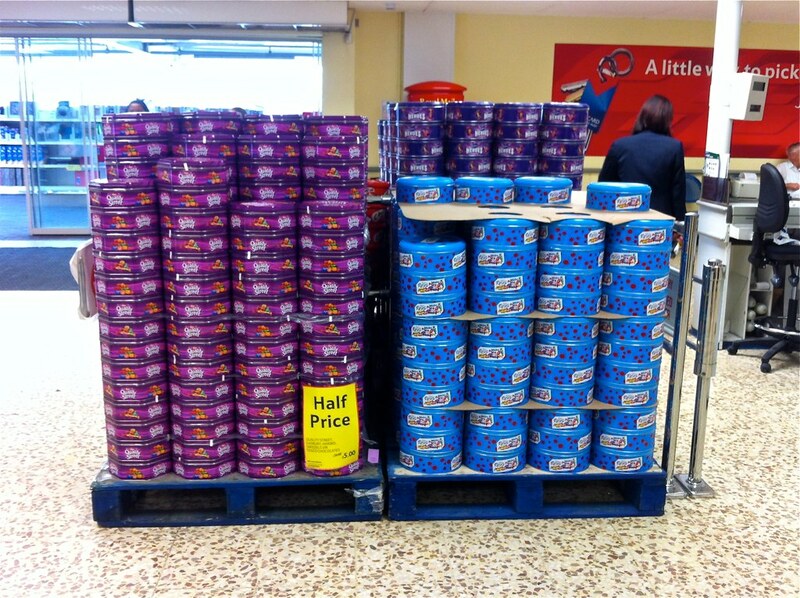 I know this is a good deal when the individual tubs are £5 each, but at this point, 7 weeks before the big day, I can’t help but think where each customer will store all this chocolate? Another example, around the same time as the chocolate deal, Tesco had their 1 Litre bottles of sprits on offer for £16, and one Sunday, I served someone who bought 9 bottles of each spirit imaginable, “oh these are all for Christmas.” She’s really going to kick herself when they go on offer for a lower price closer to the day. The Guardian reported that Britain’s shoppers are expected to spend £4.2 billion on food and drink in the week leading up to Christmas, and honestly this doesn’t surprise me. In fact, I will be surprised if I serve anyone on the lead up to the big day, who’s shop totals up to less than £250. Especially as the celebrations draw closer, it’s inevitable that many shoppers will purchase things out of panic, just so they have things on the table and under the tree, and definitely as they feel they’re running out of time. I don’t know whether people forget that the store only closes on Christmas Day, or whether a lot of people just like to stock up so they don’t need to leave the house over the Christmas period, but I can almost guarantee a huge amount of customers will be back in the store on Boxing Day, as if they didn’t buy 6 loaves of bread and £200 worth of alcohol 2 days before. The truth of it all is, the majority of the British public hate to think about what would happen if they’d forgotten something they needed for the big day, when they wouldn’t have anywhere to go to get it, and because of this, most of them tend to panic and over-buy, just so they’re prepared for anything. In my experience, anyway. If I had it my way, if customers are going to engage in panic buying behaviour, then all shops should be closed on Boxing Day too, where’s the need to drag poor retail workers out of their bed on Boxing Day, when everyone’s bought enough food and drink to last them three months? Maybe one day, we’ll live in a world where retail workers don’t dread the Christmas season, and supermarket shoppers don’t act like the world is ending because the shop is closed for one day.